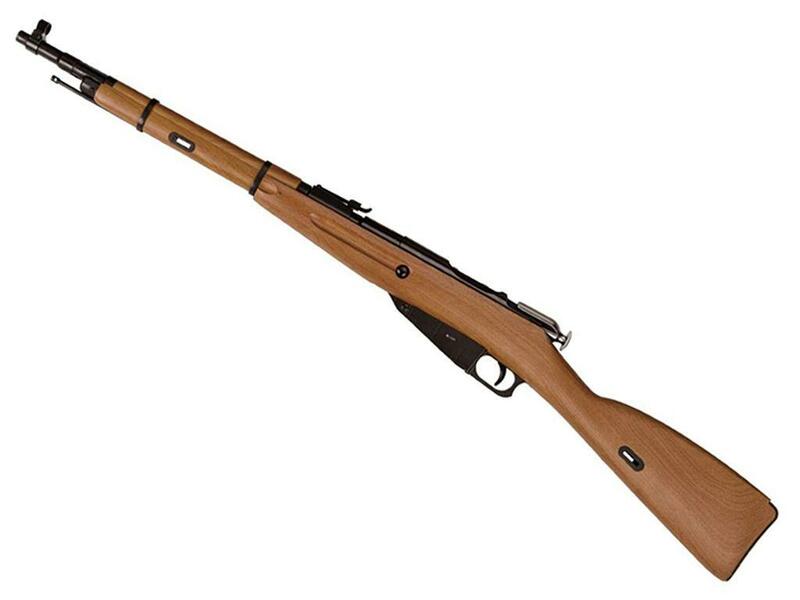 Gletcher M1944 Mosin-Nagant BB Rifle | ReplicaAirguns.ca | Easter Weekend Sale! Trigger Pull: The trigger pull on the Gletcher M1944 Mosin Nagant is single action only, the bolt cycle does most of the work setting up the loading of a BB into the chamber and pre-cocking the bolt spring. The take up is minimal and the release is about medium to light weight. The bolt snaps forward firmly and with a nice clanking sound, you can even feel the weight of it as it moves forward. Build Quality: The Gletcher M1944 is really well made, you can tell by it's robust weight and how solid the action feels when you draw the bolt back and release it the first time. Everything that would be metal on the real Mosin Nagant is metal on the Gletcher M1944 including the full size dropout magazine that holds both the BBs and CO2. Yes the stock is imitation wood, but it looks very close to real wood and will fool most people until very close inspection. The overall finish looks great. Realism: I've never actually put my hands on a real steel Mosin Nagant Rifle but from the photos I viewed online, the Gletcher M1944 is really accurate in terms of being a BB replica. Of course the magazine has been adapted to fit CO2 and BB's but once placed in the gun it is nearly impossible to tell it from the real thing. The weight of this rifle (8.2 pounds) gives it the feeling of genuineness. I have read online that a real Mosin Nagant stock can be adapted to fit the Gletcher M1944 so that would indicate that it is fairly true in size and construction to a real Mosin Nagant Rifle. Comments: The Gletcher M1944 is a great option for anyone looking for a historic bolt action rifle but in a BB version. It for sure looks and acts the part but in a much quieter and backyard friendly version. Sure you can get the Gletcher 1891 Sawn-Off Rifle for about half price but to really get the full Mosin Nagant experience you are going to want to have the larger full size model, no two ways around it. Being abel to shoulder the gun makes it way more natural and easier to shoot. Waited long for replica air to get this. The wait was worth it. Shoots accurately at 60 feet. The bayonet is an added treat. Installed a scabbard for it. Very easy to dismantle. But the best part of ordering it is being looked after by replica airgun's customer service team. They are by far the most responsive and proactive team i have dealt with! Mike's videos also played a big role in my choices. Kudos to you bud! Looking forward to more guns for 2019! Model: Gletcher M1941 (Replica of Mosin Nagant). 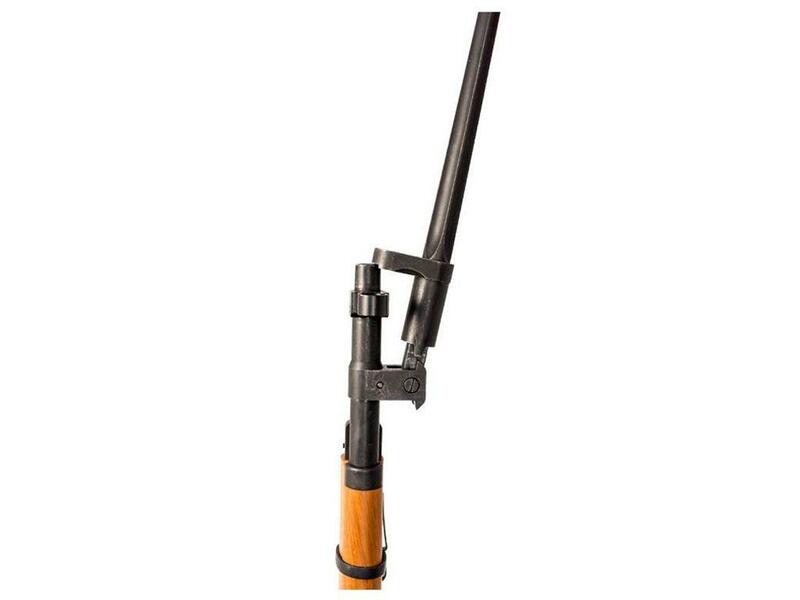 Barrel: 5.5 inches, smooth bore (inner barrel). Action: Bolt - single shot - single action. -A piece of history you can shoot in your back yard. -Nice heavy 8.2 pound weight to it. -Adjustable rear sight, at least for elevation. -Bolt action feels great and has a firm release. -Full size drop out metal magazine that holds both the BB's and the CO2. -More fps than claimed and decent accuracy, I expect to get lots of shots out of a single CO2 because of the magazine design. -Imitation wood is very believable. -Breaks down similarly to the real steel version, so maybe able to upgrade parts like the stock with a little bit of work. -Stock is plastic but looks good considering. -No real way to adjust windage and the rear sight does wiggle a bit from side to side which could throw off the aim. -Bayonet may scratch the stock a bit? -Price point may make it out of range for some buyers? 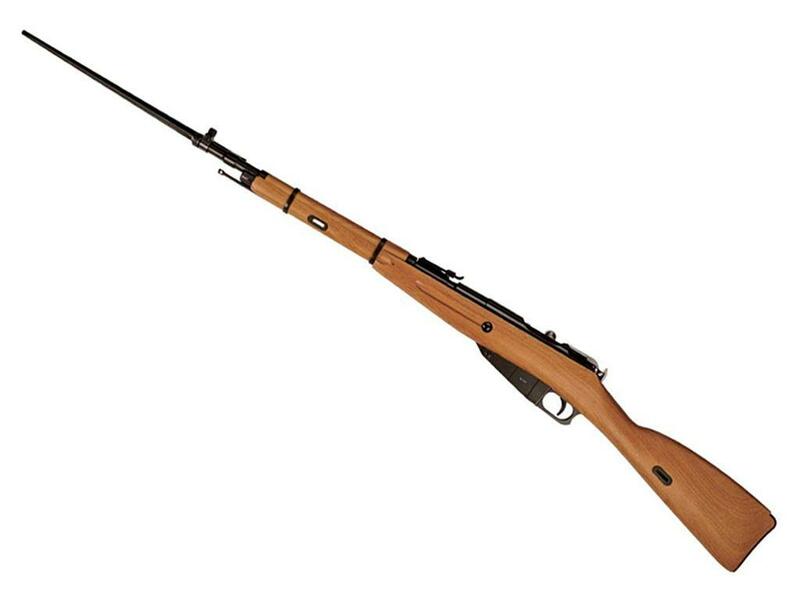 The Gletcher M1944 Mosin Nagant CO2 BB Rifle is a great option for anyone looking for a historic bolt action Rifle but in a BB version. It for sure looks and acts the part but in a much quieter and backyard friendly version. 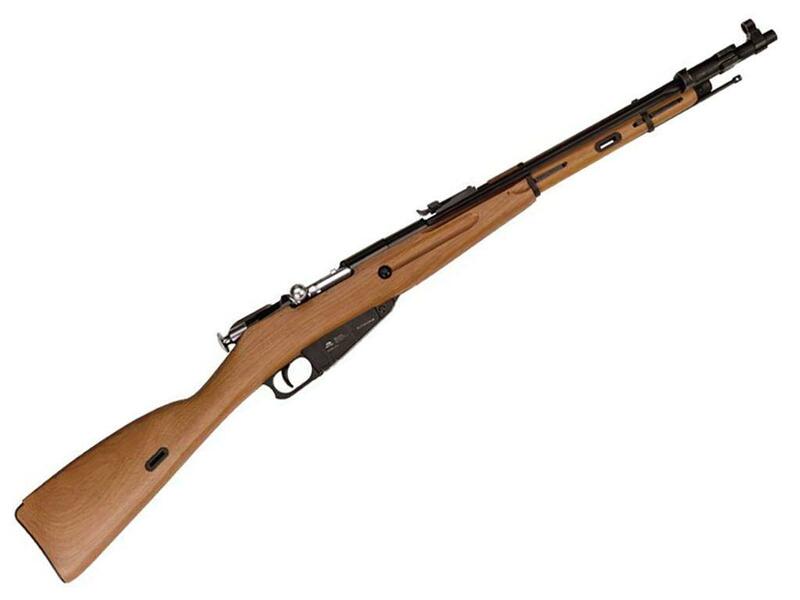 Sure yo can get the Gletcher M1891 Sawn Off version ofr about half price but to really get the full Mosin Nagant experience you are going to want to have the larger full size Gletcher M1944 Mosin Nagant CO2 BB Rifle, no two ways around it. Being abel to shoulder the gun makes it way more natural and easier to shoot.